It’s officially Festival Season, which means that I’ll be wandering around several different states setting up my Not All Who Wander Are Lost booth at some of the largest and most popular outdoor festivals! This is a welcome time of year for most people, as the seasons are changing and cooler temperatures bring beautiful fall scenery. I really enjoy getting to meet all of you festival goers and avid mushroom hunters like me! I love knowing that I have so many repeat customers, and they all know to find me under my Not All Who Wander Are Lost banners. I’m constantly thinking of new designs and product ideas to keep up with all of you great customers! 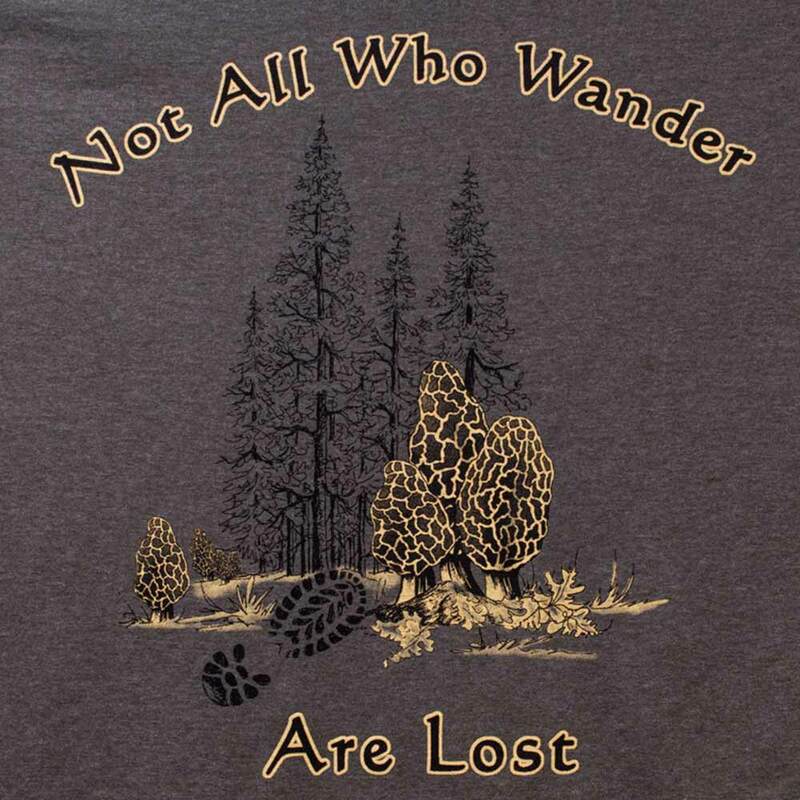 I’ve recently added a few new designs of my most popular tee-shirts sporting the Not All Who Wander Are Lost saying, including a true woman’s cut tee-shirt that so many of you have asked for! Since the majority of my sales tend to be bought as gifts for friends and loved ones, it’s exciting for me to hear the stories of how much my shirts are loved by the recipient of them! 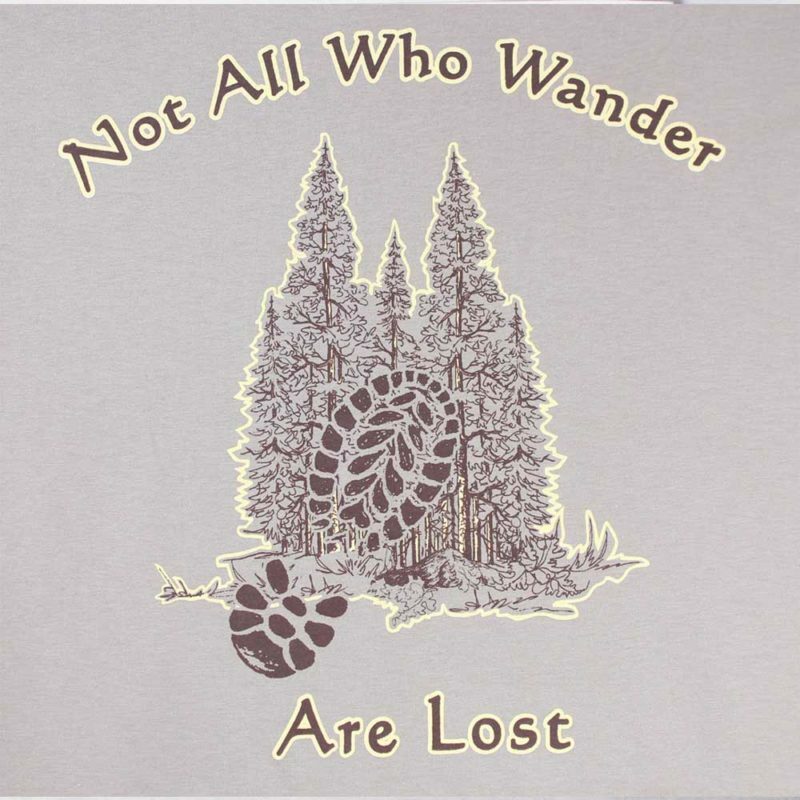 Even though I offer so many different types of unique and witty designs, including several different morel mushroom hunting designs, along with fishing, camping, hiking and deer hunting, still my most widely sold design is Not All Who Wander Are Lost. I think it’s so popular because most of us can truly relate to that endearing expression. So please look for me under the Not All Who Wander Are Lost banners the next time you’re out festival going! And keep in mind that our tee-shirts make great gifts, especially for that hard to shop for person who has everything! Our little family whole-heartedly thanks you for your continued support and we strive to keep bringing you unique and clever designs that you won’t find anywhere else!